As Autumn is beginning to greet us it is time to consider changing our choice of perfume alongside our wardrobe and interior decorations. 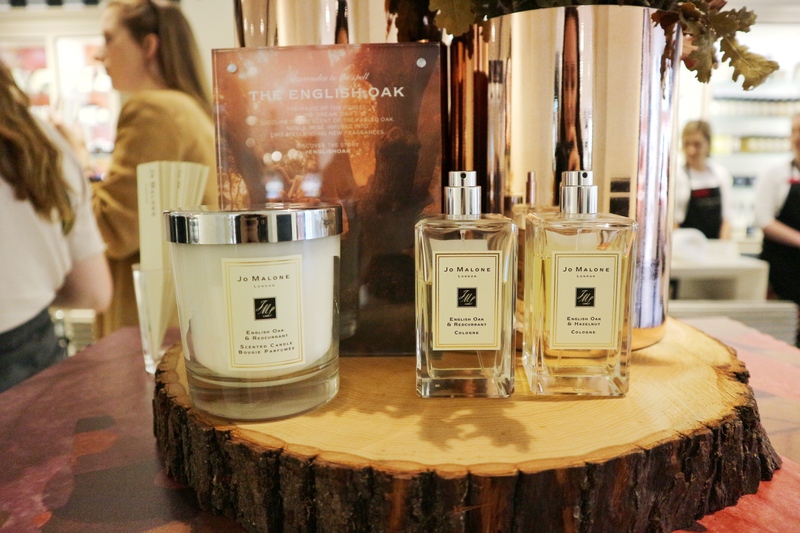 I recently attended the Jo Malone English Oak launch event at the Chichester store earlier this month, where myself and some fellow local bloggers were invited to discover new autumnal fragrances. 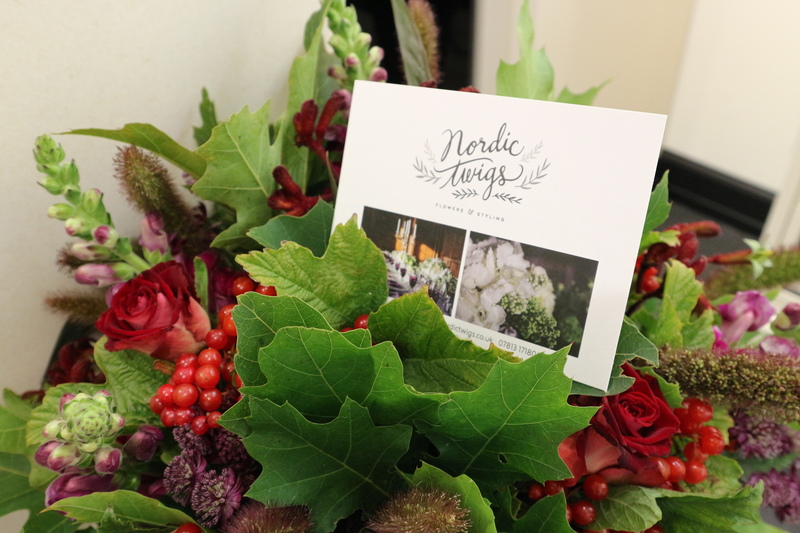 Greeted by berry flavoured Nyetimber wine and Nordic-inspired floral arrangements, the event kicked off with a selection of refreshments and lots of photo opportunities. 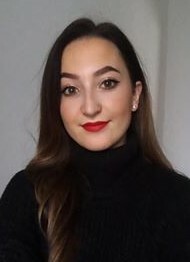 While mingling with the other bloggers and discovering the unique scents and notes that I prefer in a fragrance it suddenly occurred to me that I didn’t really know much about Jo Malone at all. As Jo Malone is a luxury brand and not a place I shop at regularly, I wasn’t really aware of how many colognes they stocked and what makes a good scent. That was until I met Peter. 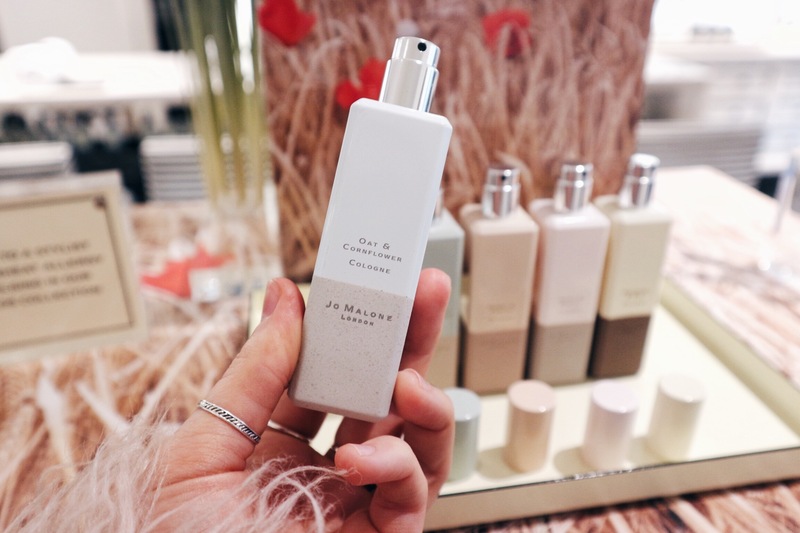 Peter is the manager of the Chichester store and he told us so many facts about Jo Malone and lots of info all about their new and existing fragrance range. It was great to meet someone so passionate about their work and someone that could answer the weird and wonderful questions I had about creating scents. After this brief introduction to colognes, we were shown the new fragrances; English Oak and Redcurrant and English Oak and Hazelnut. Inspired by the earthy autumnal season and of course English Oak, the scents are very warm and rich, definitely, a seasonal fragrance that reminds me of campfires, outdoor hikes, roasted chestnuts and cosy jumpers! 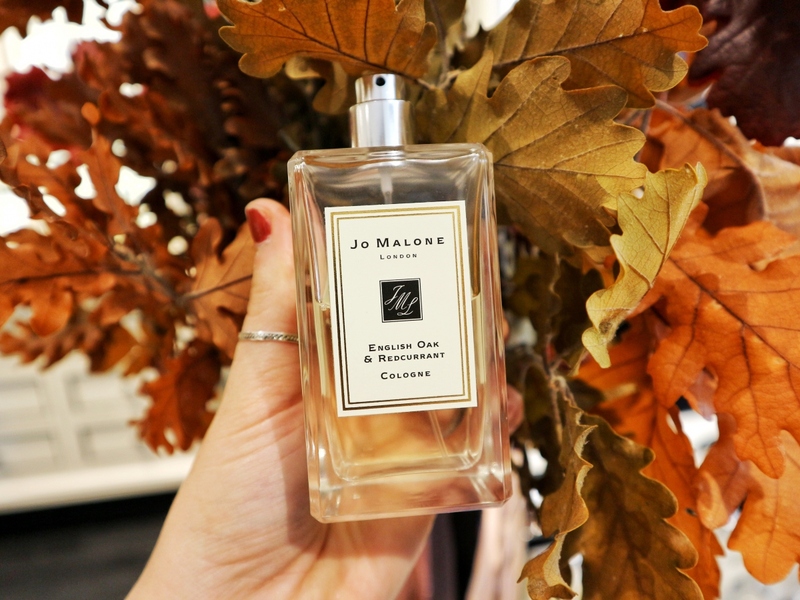 I also learnt that the English Oak scent has never been used before in a fragrance and can currently only be used by Jo Malone! (exciting stuff). My favourite scent out of the two was the English Oak and Redcurrant as this had a light, fresh and fruity undertone. I’m a huge fan of floral scents but it was nice to explore some muskier transitional fragrances just in time for the change in season! Shortly after learning about the English Oak fragrances, we were taught how to pick out the different notes in colognes and how to combine and layer the scents. We were asked to choose a combining core fragrance that would be used in our hand massage alongside the English Oak fragrances. The options were Grapefruit, Wild Bluebell, Blackberry & Bay and Wood Sage & Sea Salt. I chose the Wild Bluebell and it certainly was a winning combination! After having my hands and arms cleansed the Wild Bluebell moisturiser was massaged into the skin and then topped with the English Oak and Redcurrant fragrance. The scents worked extremely together and up until this point, I hadn’t even though about layering different fragrances at all. The hand massage was so relaxing and I recommend popping into your local store for a free one. Alongside this Jo Malone does consultations so if your big day is coming up then perhaps consider choosing a fragrance that will forever remind you of those special memories. More treats appeared throughout the event and after indulging in the delicious strawberry jam and cream scones made by the Wild Mint cafe, we then got the chance to create and decorate our own mini gift boxes! Cute autumnal leaf and fairy stamps were scattered across the table alongside the green and purple ink pads and some black ribbon. Inside the boxes contained a mini Wood Sage & Sea Salt Cologne, a Peony & Blush Suede Shower Oil and a little pot of Pomegranate Noir body creme. Such a lovely gift to top off a fantastic event. It was fab getting to see the variety of fragrances that are on offer, not to mention the range of candles and bath sets that they have. I will be considering Jo Malone in the future when I come to purchase a new fragrance and I can’t wait to see what other scents they create! 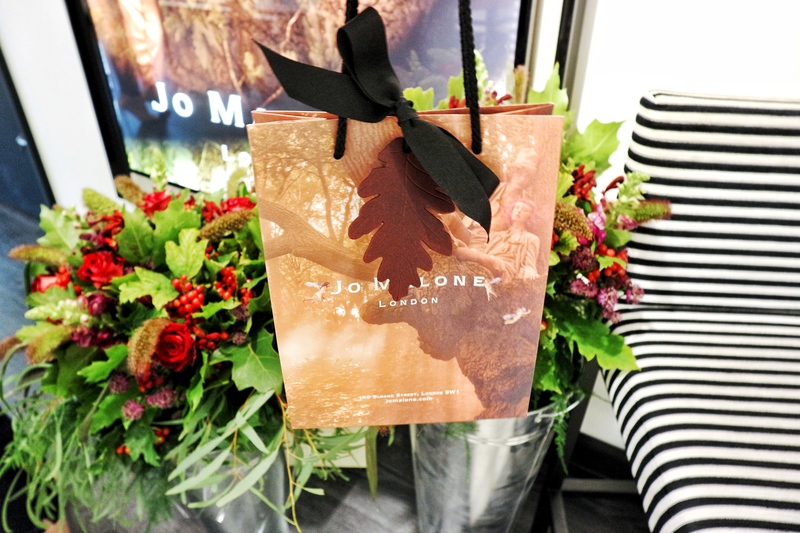 Thank you so much to Jo Malone, Wild Mint Cafe and Nordic Twigs for making the event so special, and big thanks to Katie for organising it! 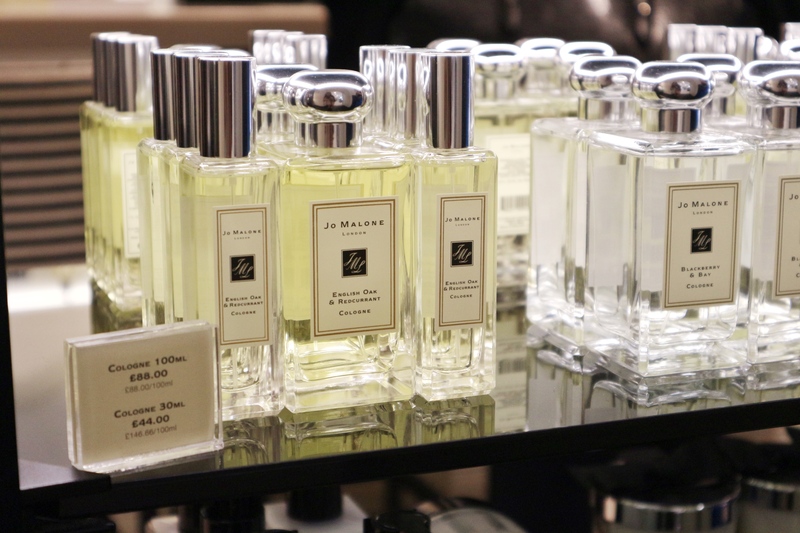 Have you ever tried anything from Jo Malone? Leave a comment below!